Work has started on what will be become the tallest skyscraper in the City of London (at least until the Pinnacle tower is completed). 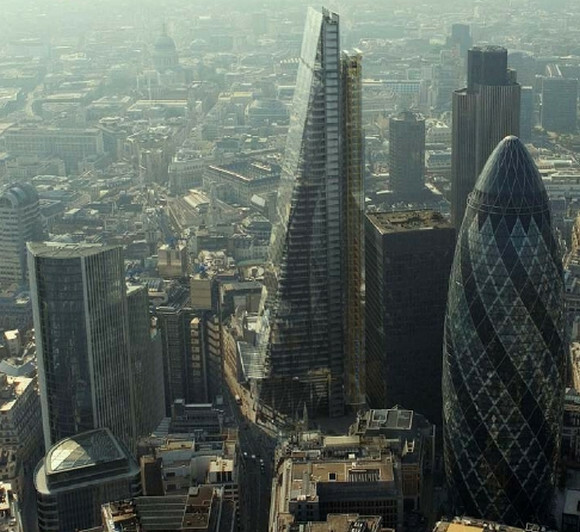 Leadenhall Building (aka The Cheesegrater) will stand 225 metres/52 storeys tall, with its distinctive wedge design resulting in a relatively modest 500,000 sq ft of office space being made available. 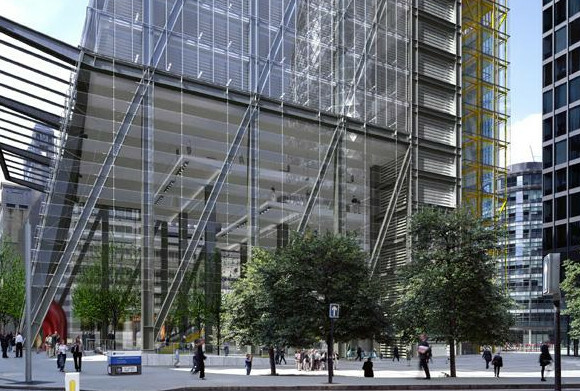 The site opposite Richard Rogers’ famous Lloyds of London headquarters has been quiet for years. Behind the hoarding, the basement and foundation works for another London skscraper were complete, but unused. 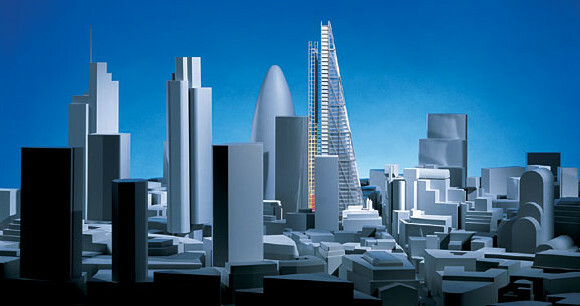 After winning planning permission in August 2008 for a skyscraper at 122 Leadenhall, Developer British Land soon put the project on hold when the world economy started looking shaky. 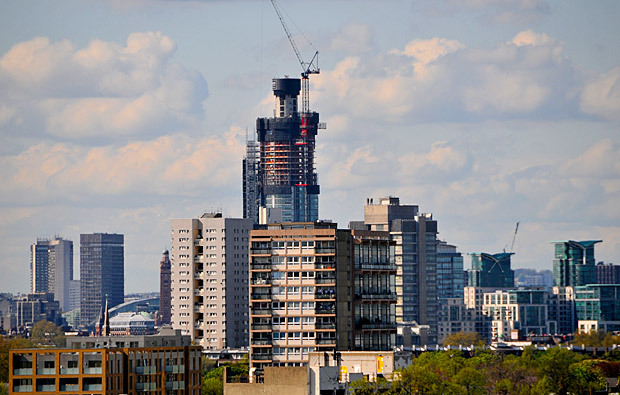 But now, with the Heron tower completed, and work well underway on the Shard and Pinnacle towers, the project has been restarted and the site is teeming with activity. 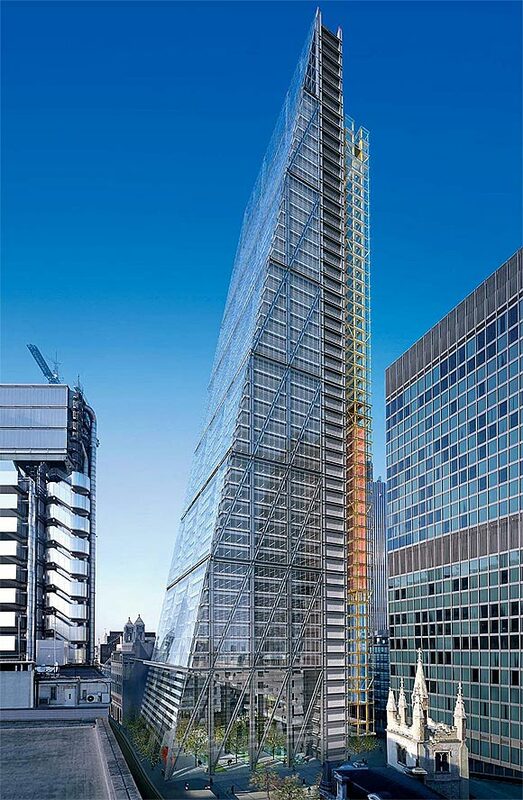 The tower’s design is by Richard Rogers, and takes some cues from his earlier Lloyd’s building just over the road. The exposed steelwork for the lifts will be painted bright yellow and the shafts themselves lit in primary colours as the cars go up and down in full view. 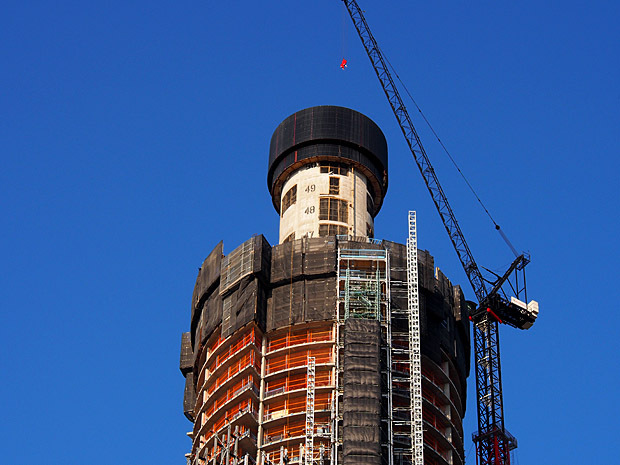 But the main design feature is the building’s tapering shape. This is intended to reduce the tower’s impact on protected views of St. Paul’s cathedral, and was crucial for winning planning permission. 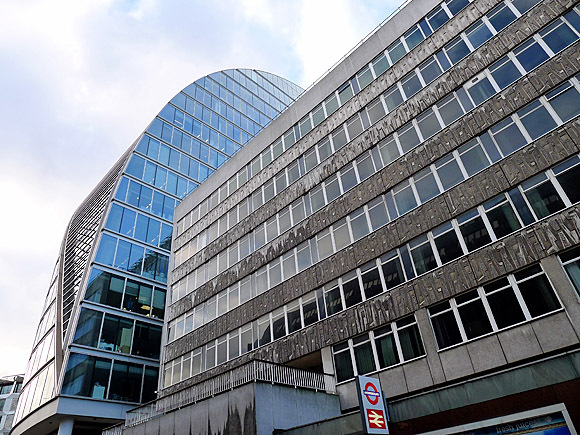 A diagonal structural grid parallels the sloping front and supports the lowest office floor well above the ground, allowing a large public space to extend underneath. 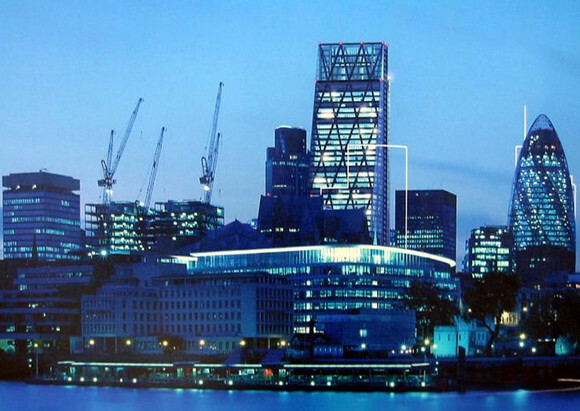 The tower reaches 225m at its peak, just shy of One Canada Square at Canary Wharf. It’s location solidifies the notion of a ‘cluster’ of skyscrapers at The City’s core. 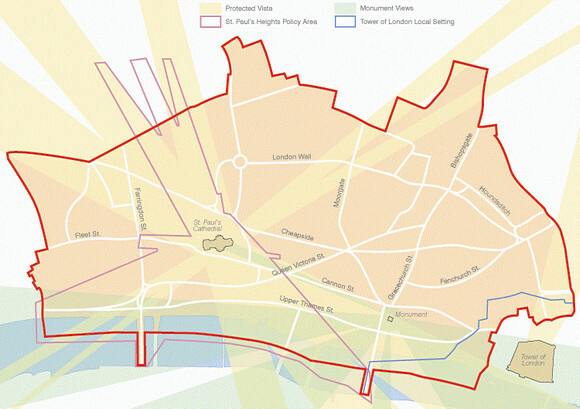 Indeed, the aforementioned St. Paul’s sightlines effectively restrict skyscraper development in The City to certain areas. 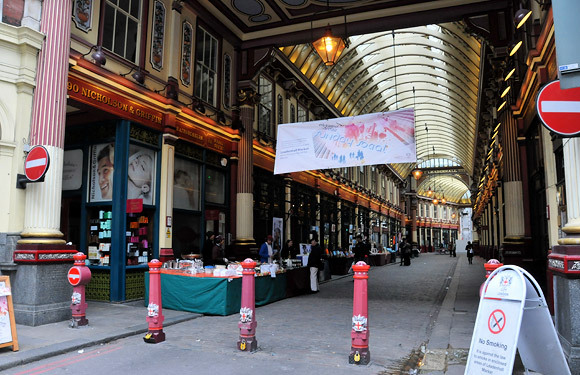 English Heritage viciously defend these sightlines (and areas around them) from developer’s plans for tall buildings. 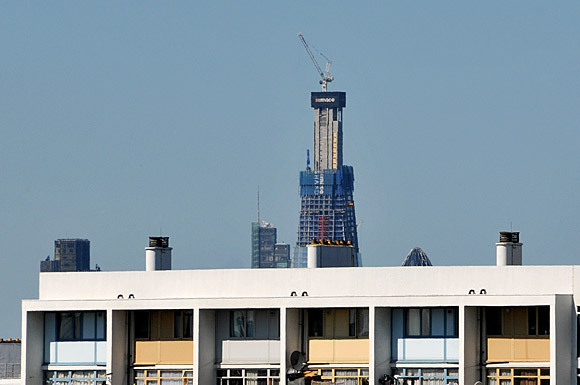 Of all the new towers going up in London right now, the Shard is the tallest and the most iconic. 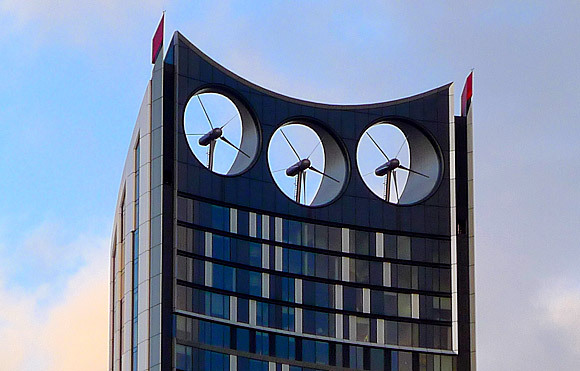 The Pinnacle wins awards for flair and showmanship, with its spiraling spire and ‘snakeskin’ facade. 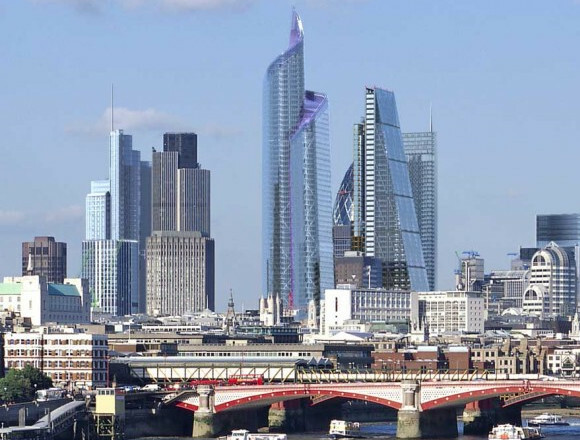 The Walkie-Talkie gets the wooden spoon for being generally hideous. 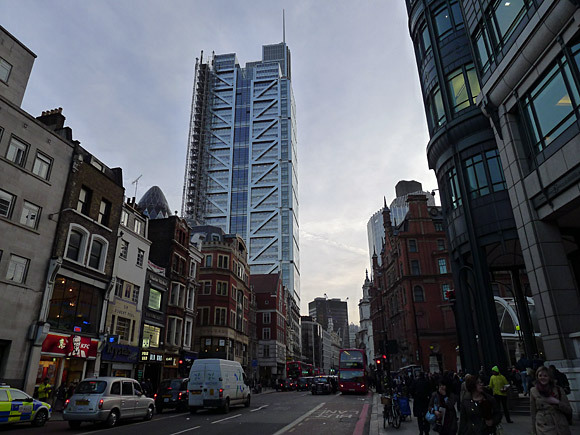 But, in my opinion, 122 Leadenhall wins the cool and classy prize. 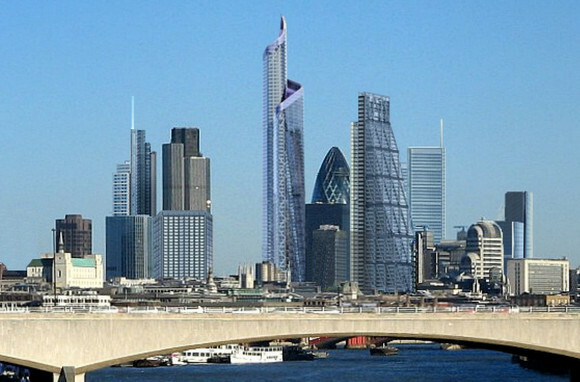 It’s restrained yet confident, and looks to be a great addition to London’s ever-changing skyline.